The million dollar ceiling that doesn't cost a million bucks. The installation of the tiles was a snap. No heavy lifting like the boring normal ones you see everywhere. They are simple and easy to cut as well. The best part about it is they look just great!! They made my basement look like a million bucks. A real great product you have there. 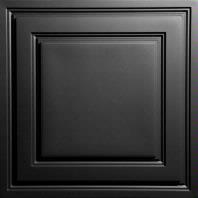 You may want to add more pattern to your flush mount selection. I am very happy with your product and have many people ask me where I got those tiles from.